As you start to get your digital marketing plans in order for the new year, here are some important search engine updates that have happened with Google over the last couple of months that will impact how you use the search engine to get your website found by the right people. Towards the end of last year Google announced that they had changed the length of the Meta Description Tag from about 160 characters to about 300 characters. This is important to know because the information that you put into the Meta Description tag of a page on your website is the summary of what that page is all about. Now, the Meta Description tag isn’t going to help you with your search rankings, it will help you get more people to your site by giving them a good summary of what they will find on your site’s pages. This change came in Google’s browser as opposed to their search results or algorithm. 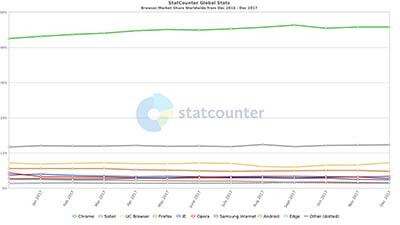 With Google’s Chrome browser dominating the market with over 54% of people using Google Chrome as their primary browser, this update has had and will continue to have a huge impact on websites. In October of `17, people visiting a website with an unsecured form would receive an alert from Chrome telling them that the site was not secure. You can imagine the damage this will cause to a website’s conversion rates. You know that people are going to run from the site the minute that they get that security warning. Interstitial Penalty: Let’s start with what an Interstitial is. Google tells us that Interstitial ads are essentially pop-up ads that cover the page of the website that is hosting the ad and is hurting the user’s experience on that site. Because Google is hyper-focused on the user experience and they feel that a pop-up ad that is too intrusive is hurting that user experience, they are issuing SEO penalties to sites that are using these pop-ups. 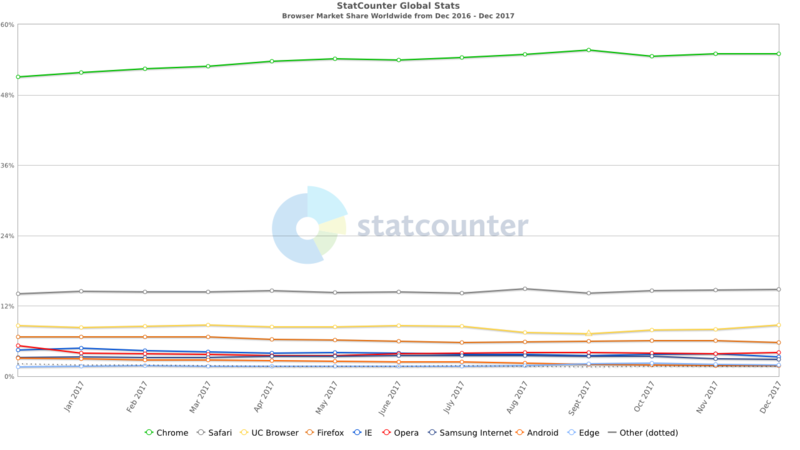 Mobile First Index: Though this was actually announced toward the end of 2016, I’m including it here because it’s really started to have an impact. Basically, Google’s mobile-first indexing means that they are going to index the mobile version of your website if you have one. If you don’t have a mobile version of your website then they will index the desktop version of your site. However, you have to also know that if you don’t have a mobile version for your website, then you are probably going to have other problems showing up on search results because of Google’s laser-focus on mobile.